We all know the Aesop fable about the ant and the grasshopper – the ant prepares himself for winter while the grasshopper whiles away his summer days without concern for the future. When winter hits, the grasshopper is unprepared, while the ant is warm and well-fed in his home. Even though last winter is a distant memory, the shortening of the days and the cooling fall temps serve to remind us that winter is headed our way once again. And, just like the ant, we need to get prepared. For propane customers in Kentucky, a big part of preparing for cold winter days is making sure they will be well-supplied with propane all season long. The winter of 2014-15 was, true to predictions, among the coldest and snowiest on record in recent memory. Folks along the Kentucky-Tennessee border found themselves dealing with more snow than usual, and then contending with record cold that kept the snow and ice around for longer. 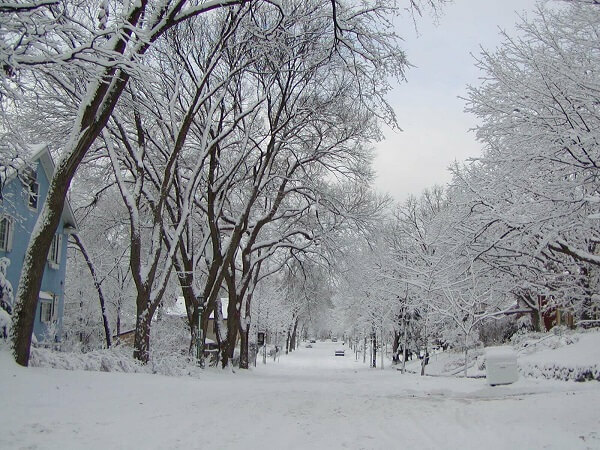 Even into March, which traditionally sees a break in the cold as spring starts to make inroads into the area, winter seemed determined to stick around, and those who rely on propane to heat their homes found themselves faced with short supply and higher prices. Depending on where you live and how much you like the cold and snow, the forecast for Winter 2015-16 might please you, and it might not. If you enjoyed last winter’s snows, then good news: the Old Farmer’s Almanac is predicting much of the same for the winter of 2015-16. Did you jump for joy? Or did you cringe and start pulling out the blankets? Either way, you can stay warm this winter with a little forethought and preparedness. On the top of your list: make sure you’re well-supplied with propane. Fill your propane tank(s) now, well in advance of cold weather – and take advantage of the lower prices typical of off-season fills. Sign up for automatic delivery. Waiting until your tank is low to order propane may mean you’re on a long list with folks in the same predicament. With automatic delivery, your supplier will make sure you’ve got plenty of propane all winter long. Sign up for a budget payment plan. Many suppliers offer programs that pro-rate your purchase over several months. The Lin-Gas EZPay program accepts new budget payment customers prior to July 1 each year. Keep an eye on your tank(s). Know how much propane you have at all times. Make sure your system is tuned up and ready to go. Your HVAC system will benefit from a checkup by a professional. Whatever the Winter of 2015-16 has in store for us, making sure you have enough propane to get you through it should be on the top of your list. Filling your tank early in the season will help you to stay warm and toasty, even if winter overstays its welcome. If you haven’t gotten prepared, time is growing short – call Lin-Gas today!